A curious endeavor to catalogue and document the wealth of programming knowledge available on the internet and a humble attempt to contribute to it. In Windows 7, MS Outlook seems to be horribly bad at popping up calendar reminders when outlook doesn’t have focus. This can cause a series of problems from minor annoyances to missed meetings. As discussed in this StackExchange question, there are some relatively easy work arounds to this issue that I’ll elaborate on here. 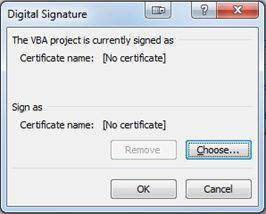 If you’ve never used Outlook’s VBA editor to extend it’s capabilities before, this article will take you through how to set up everything you’ll need to do, start to finish. 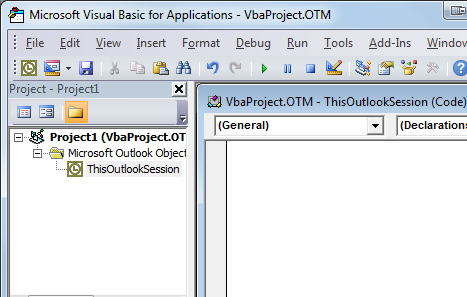 If you’re already familiar with using VBA in Outlook, then you can just skip to Step 5 and paste in the code and you’ll be all set. 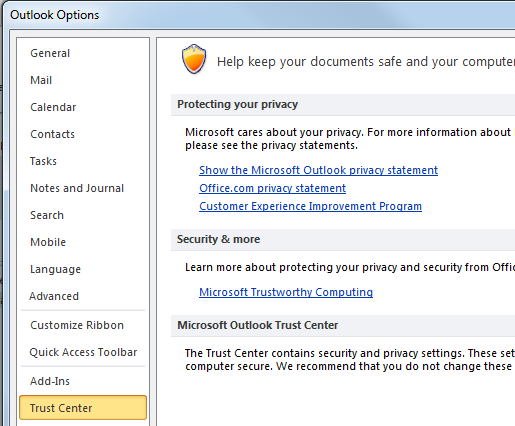 MsgBox "First Reminder", vbSystemModal, ""
10) Run the Trust center by clicking the Trust Center Settings button on the right. I’ve update the code to use ActiveWindow instead of ActiveExplorer, which returns nothing “if no explorer is active.” Thanks to CW for the impetus to update my code. Hey Jason, I added an update that should work better. Thanks for your feedback. Let me know how everything works out. Worked perfectly. Thank you, thank you, thank you. This was driving me crazy. This is really good thanks. Gary, great work around. Nothing that I've found so far. I'll post any better solutions if I stumble across them. Please let me know if you find something as well and I'll post it here. Thanks! This is a great quick fix. I've updated the post to include these changes. Your code in step 5 worked for me, thanks. The longer recommended code did not work. I did have a few issues I was hoping you could comment on. 1. This code opens up Outlook, rather than the reminder window. Is there any way to open up the reminder window itself? Another possibility is to use the code from the StackExchange thread you referenced to replace your 'Application.ActiveWindow.Activate' with a message box. Downside of this is that it is just a generic message. 2. I know the main concern is appointments, but how would you modify the code to take all reminders into account? For example, what if you added a reminder directly to a message in your inbox? For 2), If you wanted it to work will all reminder items (AppointmentItem, MailItem, ContactItem, and TaskItem as per per Reminder Event, then you can just remove the following IF Block from the handling and it will fire for every event, although typically Appointment Items bear the most pertinent information. I'm afraid I've been unable to fine tune it past what code I have so far. 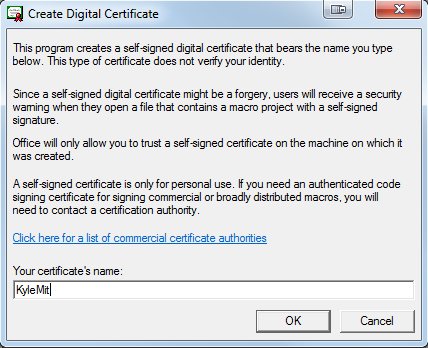 There's only so much to do to override what Windows is trying really hard to force upon the user. Thanks Kyle - By the way, your write-up was excellent. 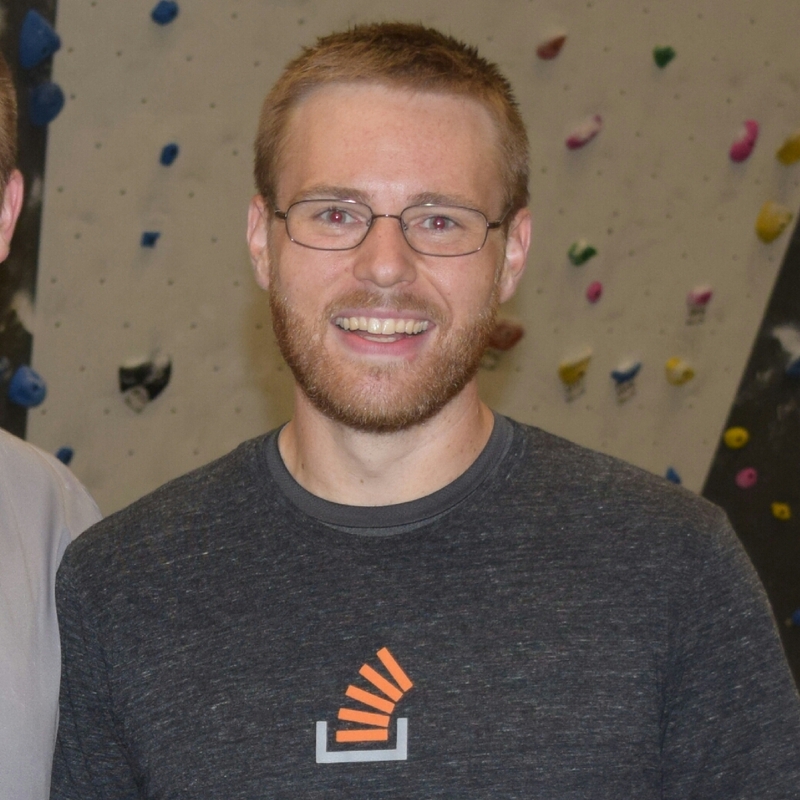 I did a lot of research on this topic, and this is the only article that pulls everything together so that anyone benefit from it (even non-coders like me). This works well however if reminder has come up and the reminder window then minmised, additional reminders don't bring the window up again. I get the same issue as this, I guess the workaround is to make sure you close it everytime and not just minimise which is easier said than done! Hey, i am using outlook2007 and the above code is not working for me. It gives me an compliation error for ptrsafe function. It states that function or sub-function expected. Can you please help me. Just wanted to give you a big THANK YOU for this!!! Thank you!!!!! I was missing meetings after installing Outlook 2013. This only works if there is only 1 reminder, because the Window name changes every time. If there is more than 1, then subsequent reminders don't pop on top. I made a loop that goes through 1-10, until it finds one. Probably a much way of doing this, but I'd don't really code stuff like this anymore. It works perfectly woth Office 2010. Can anyone help me please? You can use AutoIt from autohotkey to inspect the window and it appears that the class name for Outlook 2013 is #32770 for the reminder windows. This way you don't have to go through a loop and inspect the window title. It will also make the code work in other languages. Of course, the class may be different for different versions or service packs of Outlook. For those who are having trouble with the other solutions mentioned here, you can go to www.radaker.com and download Outlook Reminders On Top. It's a quick and easy download. It just runs in your system tray, and it automatically pops up any Outlook reminder window above all other windows. And it will not steal the focus away from the application you're currently working in when it does it. Frankly it's the way Microsoft should have made it work to begin with! 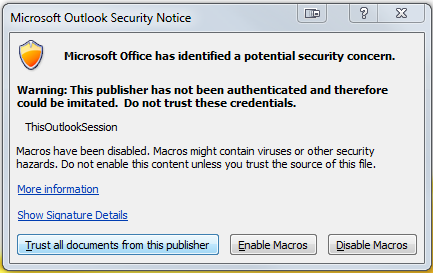 I was using the macro suggested initially, but when my company upgraded to Office 365 the macro doesn't seem to be behaving the same. I can't yet tell when/why reminders would be on top or in the background. I went ahead and tried Brad's suggestion of www.radaker.com and it appears to be the solution I was looking for all along. 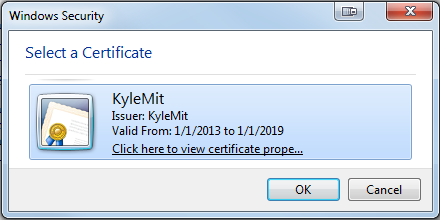 My final code, has the popup for the first reminder but then behaves like the old reminder window from that point forward until you exit that session of Outlook. If you normally have more than 20 reminders in your window you may want to increase the loop count size. Thank you, this worked like a charm. At my workplace no any additional software can be downloaded, so a solution must use what's already there. Which yours did, to perfection. Thanks again! This worked like a Gem! Thank you! This issue has been a constant irritation and I have missed or been late to a number of appointments and reminders due to it. Just installed this in Outlook and it works perfectly!! Thanks for the great code piece on this issue and providing it on the net. Best..